According to EY FinTech Adoption Index, India has the second highest FinTech adoption rate among digitally active consumers at 52 percent, only second to China at 69 percent. Usage is significantly high in large cities with a 66 per cent adoption rate followed by 51 per cent usage and adoption in small and medium cities. “Rural India lags at 33 percent which is expected to change over the next few years on account of several digital initiatives undertaken by the Government to drive financial inclusion and direct delivery of benefits,” the report said. Money transfers and payments services leading the charge in India with adoption standing at 72 percent in 2017. Insurance is the next popular category with an adoption rate of 47 percent, much higher than the global average of 24 percent. “The EY FinTech Adoption Index finds, more than half of the sampled Indian consumers claim to have used over two FinTech products in the last six months,” said Mahesh Makhija, Partner, Financial Services Advisory Services, EY India. The demographic most likely to use FinTech are millennials – 25 to 34 years old, followed by the 35 to 44-year-old. 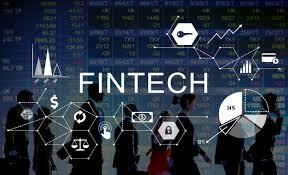 There is, however, also growing adoption among the older generations: 56 percent of respondents between 55 to 64 years old and 27 percent of those between 65-74 years said they regularly use FinTech services. The key reasons for increased adoption have been the ease of setting up accounts (31 percent) when compared with the traditional financial services, access to a wide range of offerings (19 percent) with quality service (13 percent), the report added.